* Brushed aluminum faceplate, with all metal buttons and knobs. * Gold coated RCA connectors. * R-shape high efficiency transformer, reducing the contact resistance. from Germany, Japan and Taiwan etc. * Adopting all tube for rectifying, plus silver signal lines for internal circuit. 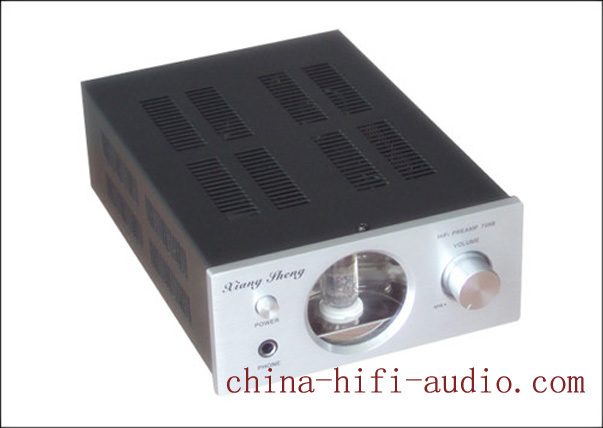 * It is not only a pre-amplifier, but also a headphone amplifier. It is your nice choose.